About This is Living !!! Perfect for a couple looking for Luxury!!!! Just put your clothes and food in and your off on your Holiday. No showering in public toilets, you have your own spacious shower and toilet. Fully Equipped Spacious kitchen with large fridge, gas cook top, oven and grill. Great bed with luxury mattress, for a good nights sleep. This Van has everything you need for a great holiday away!!! You will need Electric brakes to tow this caravan. Hire of a Electric Brake is $50 per hire. You will need a 3 tonne or more towing capacity vehicle to tow this caravan. Preferred Pickup time is the morning and Drop off in the afternoon for towing hires. Book for a 2-week hire and we can arrange a 5% discount. fee of $150.00 . plus review your bond (deposit) and the customer liable for any damages. Stunning van with all the mod cons you need. Beautiful styling, lux camping at its best and oh so comfy bed. Thank you Louise and Wayne for turning this once miserable camper into a happy one. Will certainly be hiring again soon. Absolutely perfect van, spotlessly clean with a bright and modern fit-out and lots of extras and attention to detail. The owners go above and beyond to ensure everything you need is taken care of. Highly recommended. The experience for us was amazing!!! Louise could not have been any more helpful with assisting us with our family weekend adventure. We will definitely be booking again for our next family holiday in September. So well organised self explanatory instructions and van towed like a dream !! Thanks again Louise from the Sinclairs!!! 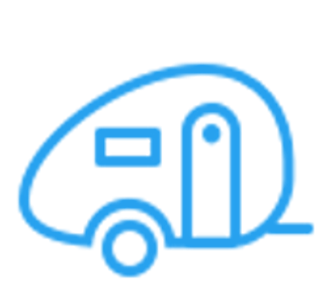 Excellent caravan, well setup and plenty to get you started without having to take too much just put your food in and head off. Louise and Wayne lovely to deal with and its very user friendly. We will be hiring again. Lovely clean caravan, with everything you need to have a lovely getaway. I'm a friendly and helpful person.